Get your FREE Sample issue of Time Out Kuala Lumpur today! 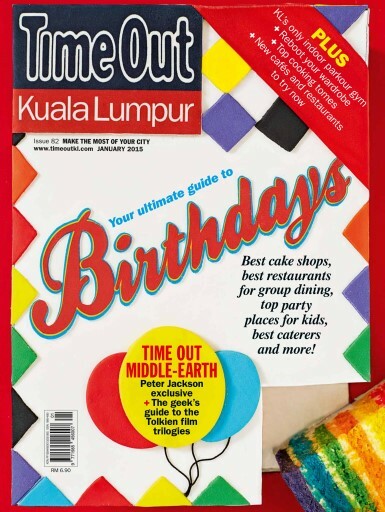 (0 Customer Reviews) | Write Review 12 issues per year Time Out Kuala Lumpur magazine is a monthly city guide covering everything from Food and Nightlife to Music, Theatre, Shopping, Art, Film and Around Town. Written by local experts, the magazine is your trusted source of what to do and where to go in KL, through comprehensive event previews, reviews and listings. There are also in-depth features filled with insiders' tips and knowledge on current affairs, the hottest trends and the latest places in the city, and exclusive interviews with the movers and shakers of the local arts scene. The definitive go-to guide when it comes to eating out in KL, Time Out's food reviews are honest and fair - they are done anonymously and our food critics pay for their own meals. Time Out Kuala Lumpur magazine is a monthly city guide covering everything from Food and Nightlife to Music, Theatre, Shopping, Art, Film and Around Town. Written by local experts, the magazine is your trusted source of what to do and where to go in KL, through comprehensive event previews, reviews and listings. There are also in-depth features filled with insiders' tips and knowledge on current affairs, the hottest trends and the latest places in the city, and exclusive interviews with the movers and shakers of the local arts scene. The definitive go-to guide when it comes to eating out in KL, Time Out's food reviews are honest and fair - they are done anonymously and our food critics pay for their own meals. You'll receive 12 issues during a 1 year Time Out Kuala Lumpur magazine subscription. 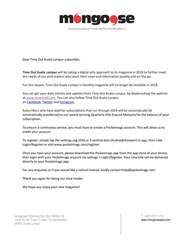 You'll receive 12 issues during a 1 year Time Out Kuala Lumpur magazine print subscription.